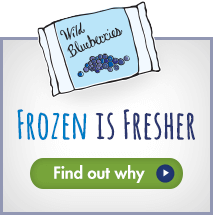 Checkout these interesting facts about Wild Blueberries – along with some good recipes to boot! The Wild Blueberry Commission of Maine receives $50,000 in state funding to promote school sales. Wild Blueberries make the list of 15 Winter Superfoods you should already be eating. Redbook dips into the world of protein shakes and shares two winning recipes – a berry almond cocoa smoothie and a berry pistachio crunch bowl – both featuring frozen Wild Blueberries. Wild foods – and Wild Blueberries in particular — join chia seeds, turmeric, ancient grains, pistachios and a host of other featured superfoods, as the year’s top foods! These superfoods provide essential nutrients the body needs to function properly, such as antioxidants, vitamins, minerals, and polyphenols. Michael Roizen, M.D. and Mehmet Oz, M.D. have recently extolled the health benefits of Wild Blueberries. The nationally known experts suggest that those seeking foods that are super-good for you should eat Wild Blueberries. The article also sites a U.S. Department of Agriculture analysis stating that Wild Blueberries contain more than twice the antioxidants as their farm-grown cousins, and a Cornell University study that rated wild blueberries No. 1 in antioxidant activity. NYT Wellness Blogger explores the nutritional differences between wild and cultivated blueberries. The article sites Mary Ann Lila, director of the Plants for Human Health Institute at North Carolina State University, who says wild blueberries contain a greater number and variety of phytochemicals than cultivated blueberries, including up to 26 different anthocyanin compounds that help them survive in the rugged environment. Katie Cavuto of Nourish. Breathe. Thrive. loves Maine and the nutrient rich Wild Blueberries that grow there “wildly.” As her son heads to Kindergarten for the first time, gone are the lazy morning breakfasts of summer so she creates a delicious and easy-to-make Gluten Free Wild Blueberry Lemon and Hazelnut Quick Break, which she calls the perfect make-ahead-breakfast. Inspired by her trip to Maine, she adds nutrient dense Wild Blueberries to her wonderful recipe and ramps up the flavor because as she says there are thousands of varieties of Wild Blueberries growing on the barrens which lends to the richness of the flavor you will find in a handful.